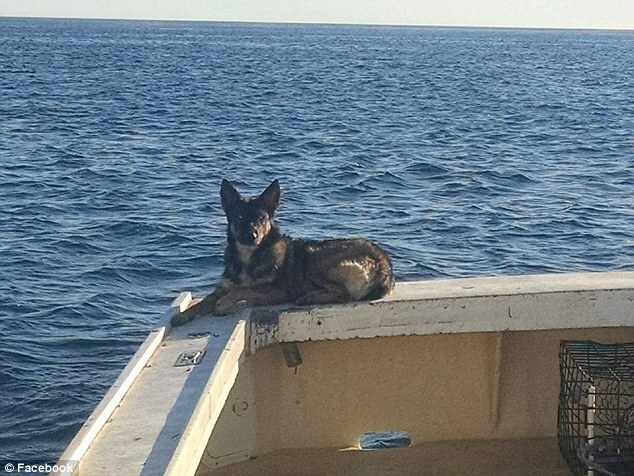 A fisherman's beloved dog that was presumed to be drowned in the Pacific Ocean has been found alive five weeks after falling overboard his boat. 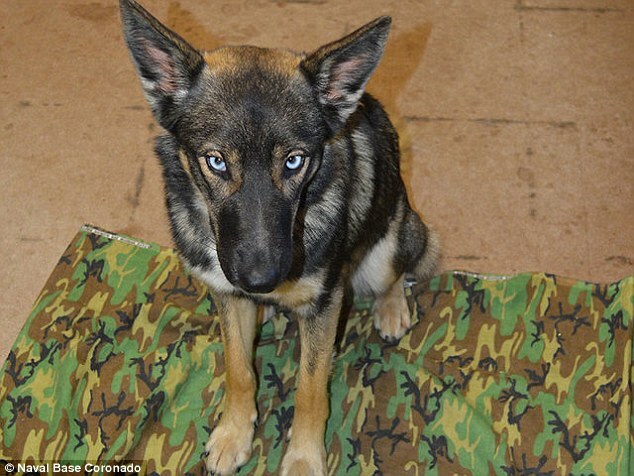 Nick Haworth's dog, Luna, a 1 ½-year-old German shepherd, was spotted Tuesday on San Clemente Island, a Navy-owned training base 70 miles off San Diego. 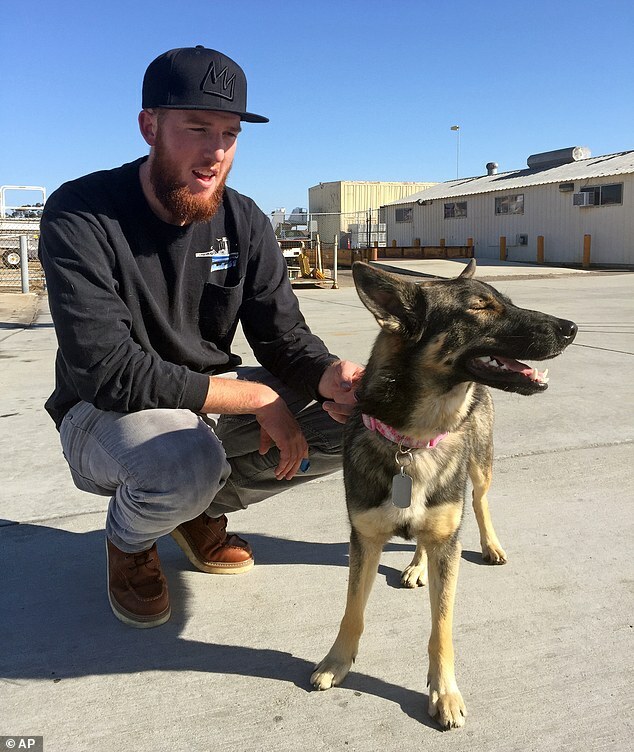 The blue-eyed pup disappeared February 10 as Haworth, a commercial fisherman from San Diego, worked on a boat two miles from the island. Haworth notified Navy personnel that his dog had fallen overboard. 'He insisted that he was 90 percent sure that she made it to shore because she was such a strong swimmer,' DeMunnik said. Haworth searched the waters for about two days and Navy staff searched the island for about a week but found no sign of Luna. She was presumed lost at sea until Tuesday morning when staff arriving for work at the island's Naval Auxiliary Landing Field spotted something unusual — a dog sitting by the side of the road. She was just sitting there wagging her tail,' DeMunnik said. The staff called to Luna, and she came right over. A biologist then examined the dog and found her a little thin but otherwise healthy. 'It looks like she was surviving on rodents and dead fish that had washed up,' DeMunnik said. The biologist called Haworth, who was out of state working in the middle of a lake. 'He was overwhelmed. He was so happy and grateful and thrilled,' DeMunnik said. 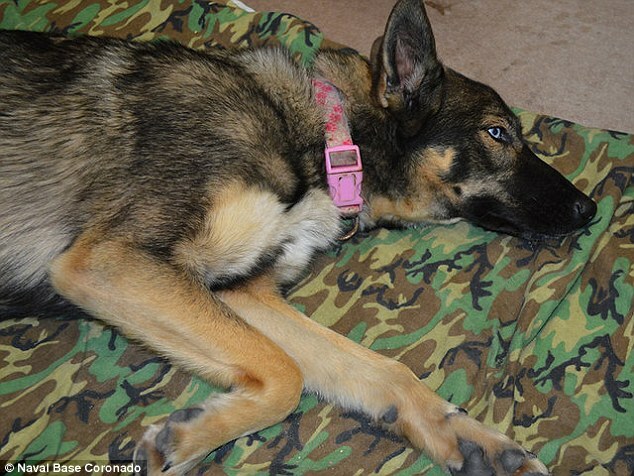 Responses to "German shepherd is found alive five weeks after it was lost in the Pacific Ocean"
God blessed this pretty girl. Looks like she may have some Siberian Husky in here. That's wonderful she survived and was found. What a Beautiful Baby! So Happy you got her back, We Love our little ones so much! What a Beautiful ending! God bless you all who helped in rescuing this remarkable sweet dog. So glad she was found and is ok. Get a bright yellow life jacket for her. She didn't swim 46 miles, she swam around 2. the map shows the distance from the island she was found on and the mainland. Lucky and strong dog! wonderful story she was meant to be found. OMG SHERPHERDS ARE LIKE THAT MY MOMS SHEPHERD GOT LOSE ONE DAY WHEN THEY WERE TRAVELING FROM KANSAS(they were visiting my brother) BACK TO IND,THEY LOOKED EVERYWHERE,ABOUT 1YR LATER HE SHOWED UP BACK UP AT MY BRoTHERS.. AWESOME REUNION.. So glad that this strong and resourceful dog survived! I hope her owner puts a life jacket on her if he continues to take her out on the boat. How can you not know your ddo went overboard??? and dogs should wear life jackets mine does. It says they were working on a boat 2 miles from the island. So she swam 2 miles approximately?? Why does it show the 46 miles from San Diego? 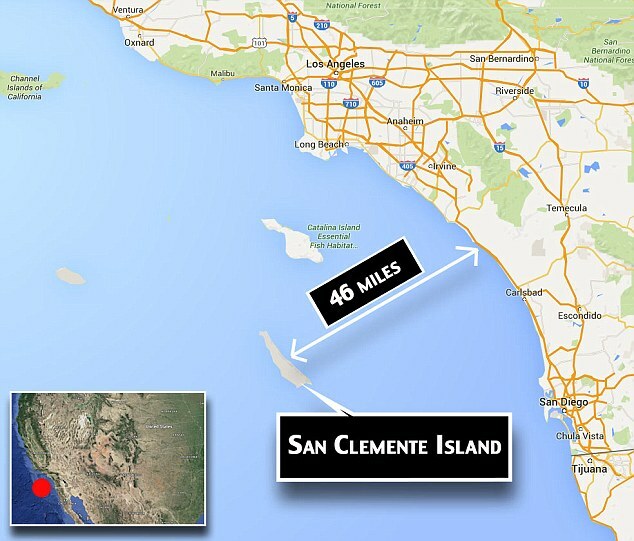 And then it says the navel base on the island is 70 miles from there. Why present this story as if the dog survived 5 weeks in the ocean?? The truth just isn't sufficient any more. I have tears of joy in my eyes. Way to go Luna. You are one lucky German Shepherd. I am so happy that dog and owner have been reunited. What a miracle. I have had Luna on my mind since I first heard of this incident. OMG. What a relief for all of us who care and love our 4 legged family members. I love a happy ending. She is beautiful and a very determined little girl. Love my GSD! Life vests on all live bodies on any boat always! Praise God! Such a strong pup! Beautiful story. The most uplifting I´ve read so far today. The dog is not an "IT," she's a "SHE," and I hope the gentleman keeps her home from now on. Less exciting but safe.... Very glad there was a lucky, happy ending! So happy she is safe and back with her family. INCREDIBLE JOURNEY! Glad she is now SAFE!